A devastatingly beautiful winter morning unfolded after what was a wholly unpromising start. 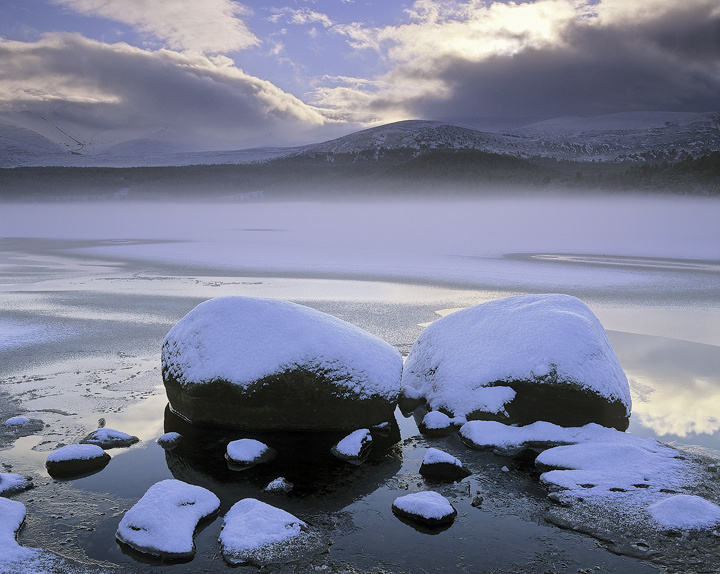 Eventually the clouds rolled away and patches of light began to punch holes through the clouds lighting the frozen plate of Loch Morlich. This would prove to be stunning enough but the heat of the sun began to immediately warm the frozen ice causing surface condensation to boil off and form an ethereal bank of mist that gradually thickened and then wafted toward me on the most delicate of breezes. It was heavenly.